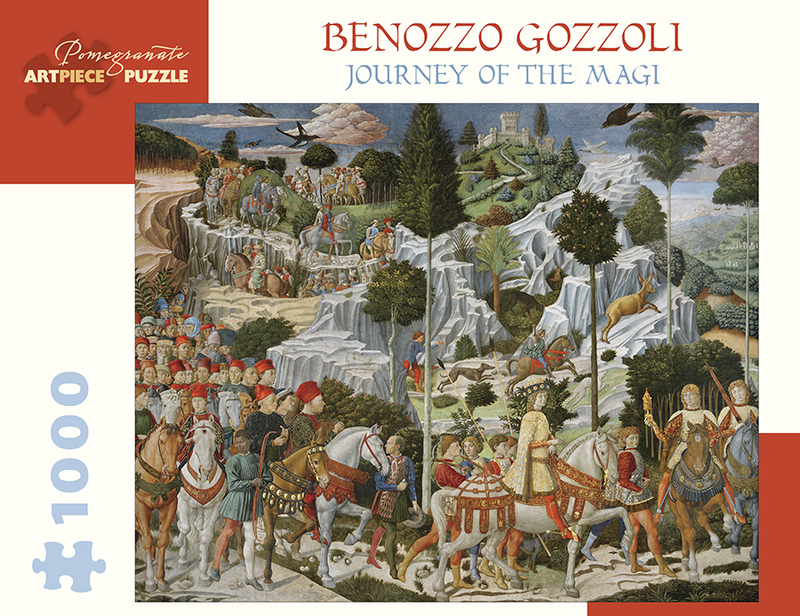 This fresco, also known as Procession of the Magi, has long been considered Renaissance painter Benozzo Gozzoli’s masterpiece. Ostensibly a portrayal of the Magi searching for the Christ child, it is a dramatic display of the opulence and grandeur surrounding the Medici family. The portion shown here, the Procession of the Youngest King, contains likenesses of several Medici family members, including Piero the Gouty and Cosimo the Elder on horseback following the young king. 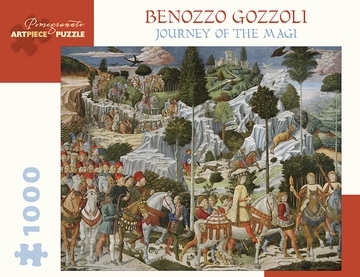 Gozzoli included a self-portrait as well; he is in the crowd on the left, wearing a red cap with gold lettering.